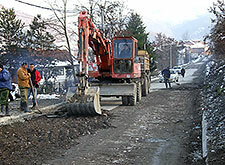 European Partnership with Municipalities Programme – PROGRES has issued a public call for financing local infrastructure projects in 25 Programme municipalities in South and South-West Serbia. Civil society organisations and municipalities submitted 169 partnership project proposals in response to the public call for proposals to be supported through the Citizens Involvement Fund (CIF), which was published in November by the European Partnership with Municipalities Programme - PROGRES. The European Union and the Swiss Government have joined efforts in helping Kraljevo alleviate the consequences of the November earthquake. 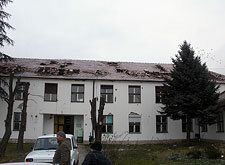 The civil engineers from the European Partnership with Municipalities Programme – PROGRES, funded by the European Union and governments of Switzerland and Serbia, and implemented by UNOPS, have gone to Kraljevo today to spend the next two weeks working on the assessment of damage caused to the public buildings by the earthquake. The European Partnership with Municipalities Programme – PROGRES and Centre for Free Elections and Democracy (CeSID), financially supported by the European Union and the Swiss Government, will conduct a survey on citizen satisfaction with the work of local governments in 25 municipalities in South and South-west Serbia.